Our Company Law Services are customized in accordance with your diverse specific requirements, and we help our clients from the very initial step to the various company maintenance processes. Our Team of Chartered Accountants and Company Secretaries are well versed with the Companies Act, 1956, and the Company Laws in India. We help in registering new companies in India, debt and equity issues, taxation issues, complying with all statutory requirements, filing relevant applications from time to time, expediting clearances from the various authorities, expediting registration and various other statutory obligations. Under this section we offer many elegant and pivotal services related to company formation. Setting up business in India through limited liability company, involves proper registration with the Registrar of Companies (ROC) under the Companies Act, 1956. 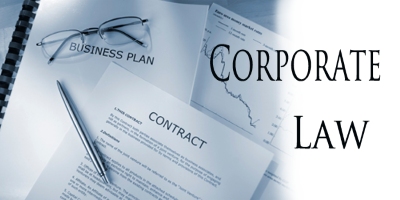 The Incorporation of Company involves various steps namely, approval of name, obtaining DIN & digital signature of directors, drafting of memorandum of association (moa) and articles of association (aoa), secretarial services for compliances with all requirements of the company law, maintaining statutory records, representation before the company law board/tribunal/roc and assistance in the merger & acquisition, or liquidation of companies, etc. Our expedient Business Setup Solution takes proper care of all the requisite compliances and procedures for the incorporation of company and provides our clients the “ready to operate business setup” in the shortest time-schedule under our “turnkey” methodology.